We import antennas for EMC measurements. Antennas are manufactured by Schwarzbeck Mess Elektronik in Germany, an inovator of worldwide EMC measurement products. The antennas are for emission and immunity testing, and for other measurement purposes. Antennas for CISPR16-1-4 Site VSWR measurement is here. For quotation request, please contact us. Please contact us for request for datasheet, specification and technical questions. Typ. gain 10.3 dBi, N-connector female. low noise floor, rechargeable, AM9144 nut incl. incl. sensor loop HFRAE 5163 und control cable. 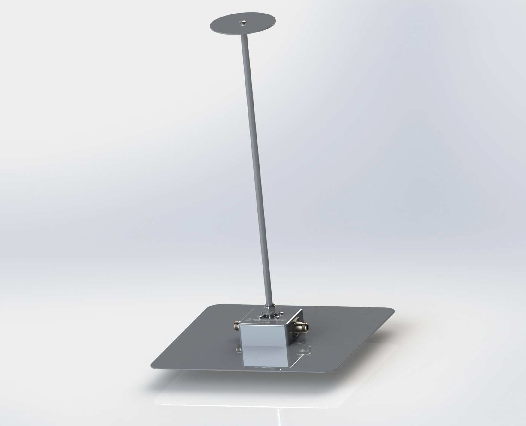 Glass - Epoxy tube Antenna Mast System, height set by screw 1.2 - 2 m, 3/8" thread on top, zinc-plated / stainless steel 3-leg mast foot. Mast Adapter for AM 9144 with 22 mm hole for most Antenna models, 3/8" and 1/4" camera threads, polarisation continuously adjustable. Non metallic mast adapter for most light weight Antenna models with 22 mm tube, minimizes reflections, 3/8" camera thread, polarisation continuously adjustable. Mast Adapter for AM 9144 with 22 mm hole for most Antenna models, 3/8" and 1/4" camera threads polarisation and elevation continuously adjustable. Antenna adapter to fix STLP 9128 E, STLP 9128 E special, STLP 9128 D, STLP 9128 D special on AM 9144. Alllows antenna rotation without height adjustment. Antenna can be fixed in the center of gravity without any collision with the AM 9144 during polarisation change. Adapter to convert the R&S Aluminium Flange into 22 mm tube with indexing ring. Adapter for Schwarzbeck antennas with 22 mm tube on EMCO mast. Thread Adapter with 3/8" female and 1/4" male threads. Mainly for American antenna brands. Please contact us through here for quotation request.